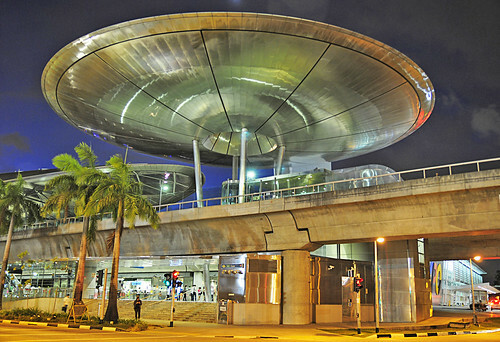 The EXPO MRT Station located next to the Singapore EXPO has a dome-shaped ceiling that looks much like a giant flying saucer. Shot with Reggie for company. Thanks to Hock How & Siew Peng for the correction on location. You are very sharp. Cheers!